So often we're given messages that we should hide our anger, that it is an emotion to be feared or ashamed of. In fact, when I was looking for a good quote on anger for this newsletter, most of them were about the harmful nature of anger, or that "anger is one letter short of danger" (Eleanor Roosevelt). We relegate feelings such as anger to the "shadows" and try to pretend that we can (and should) overcome our anger or grow past it. But I disagree with this strategy. Through my own work in this area and from reading on the topic, I have a much different lens now that I did when I was growing up. By shutting down our anger and not giving it full expression we are shutting down a part of our heart. We are telling that part of us that it's not OK to feel what we're feeling. We slowly erode trust in ourselves and our own emotional experience in the world. And when we shut down one part of our heart (e.g. anger) we automatically shrink the total range of what we can feel, including love. If we can't trust ourselves when we're angry, how can we trust ourselves when we're in love? 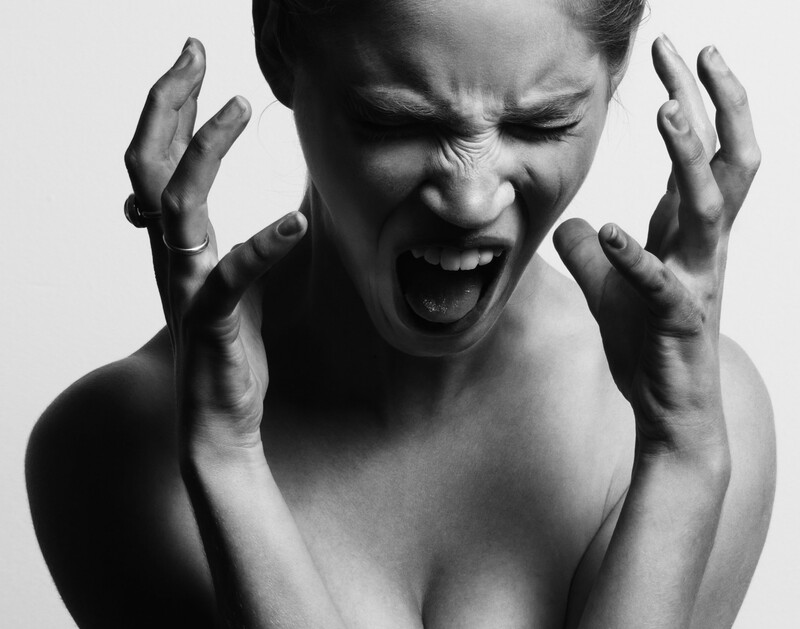 Shutting down our anger can also lead to pain and tension in the physical body, even disease. The energy of emotions that do not have free expression is turned inward. Unexpressed anger can lead to depression. Research bears this out, note some of the highlighted findings in the Atlantic Monthly's recent feature article on anger. Writes the author - "The ratio of beneficial to harmful consequences was about 3 to 1 for angry persons." In other words, people who felt and expressed their anger had more positive life outcomes. Indeed the topic is so salient that NPR has devoted a special series to anger this month, which you can listen to here. Contrary to what we're often told, it is by being truly present to our anger that we can learn more about ourselves, experience our heart's full capacity, and start to show up more fully in our relationships, no longer hiding parts of ourselves. When we shine light on the emotions in the shadows, then we can learn how to integrate them and become more fully ourselves. This isn't to say that we need to go around yelling at people all the time to set loose our anger, but there is a real need to find healthy means of expression for our anger so that we can learn from it, move through it, and transform the energy it contains. And that's one big reason I'm offering my upcoming Yoga and Anger workshop. This workshop will provide an embodied experience of connecting with and expressing anger in a safe and healthy way. Plus, we will have the benefit of being witnessed in our anger, which adds a powerful element of healing and transformation. See details and a registration link here. I hope to see you there! WHEN: Saturday March 30th at Two Dog Yoga. What to bring: water bottle, journal and a pen. Two qualities of life that we sometimes give low priority to are surrounding ourselves with beauty and developing community. These are being practiced at Two Dog Yoga studio. The gorgeous unfolding lotus mural secures the room where yoga, singing, dancing, eating, talking and more are offered with open arms to the Lake City neighborhood. 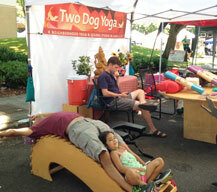 Two Dog Yoga is a compassionate, supportive and nonjudgmental community of teachers and students which has benefitted me in ways I did not expect. I have been able to apply these experiences when I am off the mat to enhance my life as well as help me cope with everything from day-to-day stresses to more difficult times of loss and grief.